Thanks, yes there are a few nutters around on bikes but I have had some scary experiences with car drivers just not seeing me on the road despite full headlights and a reasonable speed. My other half went through her CBT and never took it any further, but it has made her a far more observant car driver. MikeL - Jan 19, 2011 10:56What about a stickerBiker think! No need - bikers have to think non-stop, if they didn't they would be dead. The bikers that weave in and out of traffic, speeding off and doing well over the speed limit ect should think CAR!!! The bikers that weave in and out of traffic, speeding off and doing well … The bikers that weave in and out of traffic, speeding off and doing well over the speed limit ect should think CAR!!! at any one moment how many bikes are breaking the speed limit, ok lots.,..... and how many cars are? lots, lots more. also how many cars are causing a dangerous obstruction to bikers and pedestrians on double yellow lines? "just for a minute" cos their owners are too lazy to walk a few yards? dont get into a numbers game on this, you are flogging a dead horse (or more usually a dead biker). Thats kinda the point - its called "making progress"
Then everyone including rabbits, horses, walkers, Kids and low flying birds can have one. Even that twit that thought doing a wheelie dragging his heels right in front of me, then pulling in front of a lorry doing the same on the M1, doing over 70mph could have one. And every time I see a motorbike it always overtakes which is normaly because they are speeding. Even that twit that thought doing a wheelie dragging his heels right in … Even that twit that thought doing a wheelie dragging his heels right in front of me, then pulling in front of a lorry doing the same on the M1, doing over 70mph could have one. And every time I see a motorbike it always overtakes which is normaly because they are speeding. That's not us all, although I do overtake a lot of cars when "filtering". Don't get me wrong, I love looking at bikes especially choppers which are works of art. Having one friend die on a bike after hitting a lamp post, and an uncle who broke his neck and loosing an arm, which was their own fault not a car to blame, I think a sticker is not going to solve the problem. Drive a car and ride a bike like me, THEN make your own decisions. I've learned car drivers make the wrong decisions/don't see you on the road, and i'm more at risk on my bike because of this. Forget speed, when was the last time a bike pulled out on a car without looking properly and the driver was subsequently killed? I wish 2 bikers hadn't turned left off a roundabout from the right lane and ripped the front of my car off. Really? I'm the one whining? I think your attitude sums up my experience of bike riders quite well, you argument about a bike pulling out on a car is seriously flawed too. Anyone know of a good yellow pen for writing on these? When was the last time a car tried to weave between other traffic in slow/moderate moving traffic to get ahead of other road users? I thought Bikes were allowed to weave between of stopped or slow traffic? Its the main advantage of having a bike? When I am on the road in my car sticking to the speed limit, all the bikers pass me. They seem to think they have their own version of the Highway Code. I would be pro-bike if bikers could just stick in their lane (preferably the middle of just one lane like a car) and obey the speed limit. But, they don't. And yet they are so vulnerable. But they seem to forget about their own vulnerability and often tailgate overtaking drivers because they want to go faster. The police are such a rare sight on our roads these days. Bikers have free reign to tear up the road. Having said all that, I saw a muppet in his car with a mobile attached to his ear whilst driving. At least bikers can't use a mobile whilst driving. No need - bikers have to think non-stop, if they didn't they would be … No need - bikers have to think non-stop, if they didn't they would be dead. I thought Bikes were allowed to weave between of stopped or slow traffic? … I thought Bikes were allowed to weave between of stopped or slow traffic? Its the main advantage of having a bike? yes at a sensible speed but when does that happen? agree re: first point and 3rd but 2nd well, depends if you are a lane hogger as i hate them too...the outside lane is for OVERTAKING so MOVE OVER!! When was the last time a biker actually followed ANY of the highway code? Lane discipline and speed limits being the main ones but of course they are just 'making progress'. All that after they have got onto their (usually) illegal bike..Illegal race cans, tiny illegal plate, illegal headlight, illegal visor etc etc. I have seen first hand on the motorway a biker get thrown about 100metres down the carriageway who thought it would be a good idea to make his own lane and undertake a car as a lorry was moving lanes. Not a nice sight for me let alone the probably traumatised for life lorry and car driver. 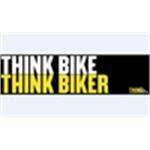 Every biker is constantly thinking "CAR!! PEDESTRIAN!! POTHOLE!! BUS!! TAXI!!" and so on. Unless you have been on a bike and you know how vulnerable you are as you do not have a protective cage around you then your comments of "bikes are killers" are invalid. @oilpainter By reading you comments i would have to assume that your avatar hasnt been photoshopped at all.